The anointing is for service. God anoints you and gives you little responsibilities to see what you will do and if you pass the test you will get bigger ones. God took David from being a shepherd to becoming the leader of fugitives and then to becoming king over only one state in Isreal and finally seven years later, he became king over all of Israel. I don't know what phase you are right now but God will test you and prepare for the glorious future He is preparing you for. Ladies and gentlemen I am convinced that everything you are going through and all that you have come in contact with is a rehearsal. Your life is a rehearsal for one glorious moment! Former President Olusegun Obasanjo went to jail because God wanted to prepare him to become a President again! He learnt the lesson and he is the greatest President Nigeria has ever had. Don't despise what you are going through, it's building you up, in time you will be grateful to God for the challenges you faced. The two years I spent in Benin was not very pleasant but a lot was birthed in that place, it was preparation ground for all that God is doing in my life right now. The bible says in 1 Corinthians 10:13 (NIV) No temptation has overtaken you except what is common to mankind. And God is faithful; he will not let you be tempted beyond what you can bear. 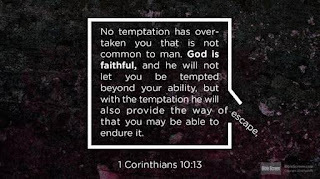 But when you are tempted, he will also provide a way out so that you can endure it. God is birthing you my brother, God is preparing you my sister, it won't be long now, God will wipe your tears and put a smile on your face forever. You too can be a social media evangelist. Please share so that others can be blessed as you have been blessed.